Approaches to the regulation of transactions with the crypto currency vary in different countries. Financial regulators in Ukraine have decided to develop a common position regarding the legal status of bitcoin in Ukraine and its regulation. "The National Bank of Ukraine (NBU) launched dialogue with the Ministry of Finance, the State Fiscal Service, the State Financial Monitoring Service, the National Commission on Securities and the Stock Market, and the National Commission that implements state regulation in the financial markets with the aim of developing a common position on the legal status of bitcoin and its regulation. This issue will be considered at the next meeting of the Council for Financial Stability to be held in August with the participation of these government agencies," the National Bank said in a statement on its website. Currently, bitcoin does not have a certain legal status in Ukraine. The NBU notes that in the world there are different approaches to regulating transactions with Bitcoin. A number of countries have officially authorized operations with bitcoin. Usually, a cryptocurrency is treated as a commodity or an investment asset and are subject to the relevant legislation for tax purposes. In some countries, bitcoin is recognized as a settlement monetary unit. For example, EU legislation classifies bitcoin as "a digital representation of value not confirmed by a central bank or government agency and not tied to legally established exchange rates that can be used as a means of exchange for the purchase of goods and services, their transfer and storage, and can be purchased in electronic form". In this case, the exchange of traditional currencies to Bitcoin is exempt from the payment of value added tax. In Israel, bitcoin does not fall under the legal definition of currency either as a financial security or as a taxable asset. Every time bitcoin is sold, the seller must pay a capital gains tax. The People's Bank of China considers bitcoin to be a virtual commodity, not a currency, and its sale may be subject to VAT. In Japan, bitcoin is recognized as an asset-like value asset. Its sales are taxed by the Japanese analogue of VAT. In Australia, bitcoin is treated as property, and transactions with it are treated as barter. In Canada, bitcoin is generally defined as an "intangible asset", and transactions with are equalled to barter. "Thus, in different countries bitcoin is classified in different ways: virtual currency, money surrogate, intangible value, virtual goods, etc. For its part, the National Bank of Ukraine does not officially support any of the above definitions," concluded NBU. Bitcoin is a virtual digital currency, which can be used for online settlements. Its "coins" can be produced by anyone with the help of the program code available on the Internet. 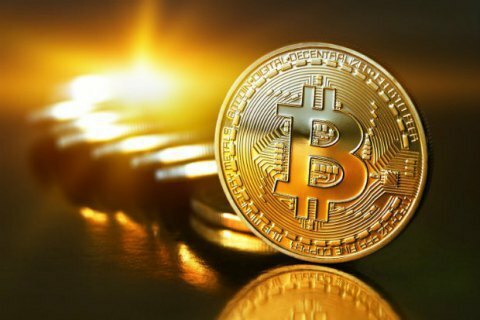 Bitcoin is mined with the help of computer calculations, and the chances for success are the higher, the more computing power of the computer, which prompts the miners to set up special "computer farms". Bitcoin's value is purely conditional.